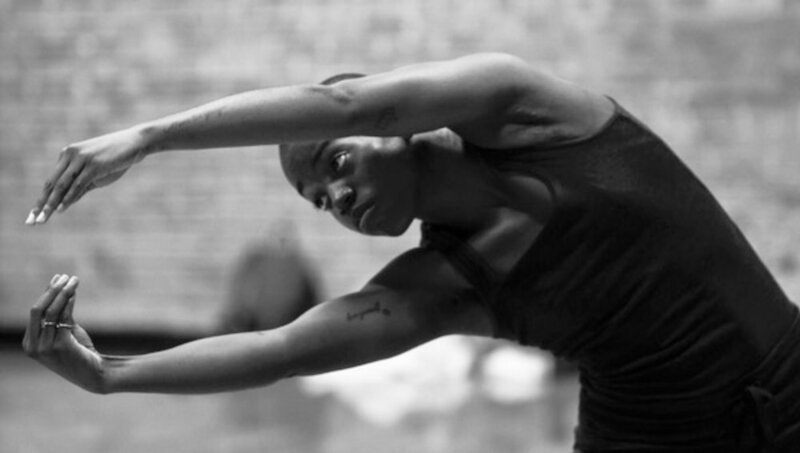 Trinity Dawn Bobo is a New York based performer, dance maker, and visual artist. She received her Bachelors of Fine Arts in Dance from Columbia College Chicago in Spring 2016. As a creator, Trinity values the practice of improvisation and is interested in the sensually potent nature of vulnerability in movement. As a queer person, Trinity is also interested in queering all of the spaces and elevating the voices of under-represented people. Quentin Burley is a dance and video artist based in Brooklyn, New York. His choreographic works have been presented throughout New York City, including The Red Bean Studios, Triskelion Arts, The Alchemical Theater, Dixon Place and Flux Factory. He has had the pleasure of performing with Brendan Drake Choreography, Parijat Desai Dance Company, Danté Brown | Warehouse Dance, The Moving Architects, Jung-In Jung, Ellen Maynard, and The Median Movement. He hails from Youngstown, Ohio and received a BFA in Dance and a BA in Philosophy from The Ohio State University. He has received a Mertz-Gilmore Late Stage Production Stipend for his work But Enough About Me. Aditi Dhruv is a dance artist and yoga teacher. She has danced for over 20 years, and trained in bharata natyam, odissi, and contemporary dance. She began dancing with Parijat when they were children, playing Garba during the Navarati season and playfully inventing new steps on the livingroom carpet. They lead parallel lives training classically and later in jazz and modern dance. Their collaboration resumed in their adult years when Aditi became a founding member of Parijat Desai Dance Company and more recently through her participation as demonstrator and co-teacher in Dance In The Round. Aditi has also performed with Jody Oberfelder Dance Projects, Thresh Dance, Janaki Patrik/Kathak Ensemble and Trainor Dance. Aditi also teaches yoga, and has been practicing for over fifteen years. She completed her yoga teacher training with Alison West/Yoga Union, and Prenatal and Therapeutics training at Integral Yoga Institute (NYC). In addition, Aditi is a M.A. candidate in Ethics & Society at Fordham University. Saju Hari is a UK-based dancemaker originally from Kerala, India. He has trained in Kalaripayattu, Kerala martial arts and contemporary dance, beginning his career with Attakkalari Centre for Movement Arts/Bangalore. In London, he danced with Imlata Dance Company (1998-2003), Bedlam Dance Company (2004-2005), and Shobana Jeyasingh Dance Company (2003-2007). He then joined Akram Khan Company’s Bahok, a collaboration with the National Ballet of China, touring across Europe, Asia, and the Americas (2008-2010). He later worked with Fabulous Beasts Dance Theatre, touring two productions: Bessie award-winning Rian, and a Stravinsky double bill -- Rite of Spring and Petrushka. Saju appeared in Julius Caesar directed by Michael Keegan Dolan at English National Opera in 2012. He has also worked with Sasha Waltz & Guests for Sasha Waltz’s production Gefaltet. Saju has premiered his choreography in London Richmix Festival, commissioned by UK Arts Council, and choreography for Vienna Conservatoire of Dance. Among his several solo and ensemble pieces are four works commissioned by Royal Opera House Covent Garden’s ROH2 Summer Collection seasons in the Clore Studio. He performed his piece Harmony at The Place, South Bank Centre, and Woking Dance Festival. Saju directs the Disha Dance Intensive in Kerala and has taught at The Place, for Akram Khan Company, Sasha Waltz and guests, disabled and behaviourally challenged groups, schools, colleges, residencies in London and Brussels, choreographic workshops and more. He has led workshops for ImpulseTanz festival and Tanz Quartier Vienna.